Many congratulations to the new Mr and Mrs Bellamy who were married on Easter Sunday at The Lawn, Rochford. This wedding cake was definitely a labour of love but totally worth it! 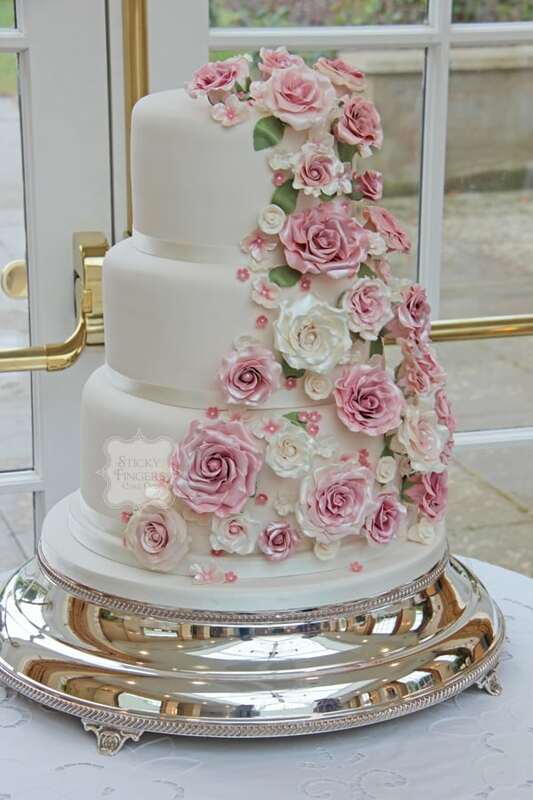 The flavours they chose were Lovely Lemony Lemon Cake for the bottom tier, the middle tier was White Chocolate and Passion Fruit and the top tier was Madagascan Vanilla Bean – lovely flavours for a spring wedding. Although the weather wasn’t behaving I’m pretty sure they had a wonderful day!